Keywords are the words or phrases in your website’s content that allow people to your website via search engines (we also call them queries). “Organic traffic” to your site is a direct result of people typing “keywords” (aka search terms, search queries) into search engines and clicking on the results. 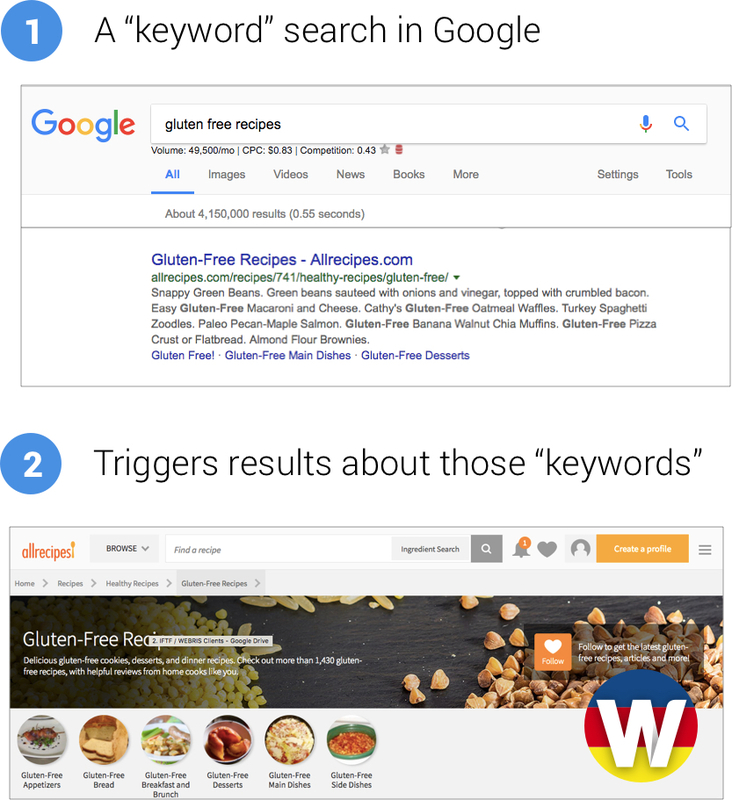 For example, if you’re looking for gluten-free recipes, you’d probably type “gluten-free recipes” into Google. The search engine would respond by showing you the sites it most recommends for that topic. While there are many factors that go into what “ranks” your website, keywords are an integral part of SEO as they will dictate how we build our website. We want to make sure we’re optimizing our website’s based on the keywords our customers are searching for. While we want to find keywords with large search volume, it’s even more important to understand the intent behind the keyword. In other words, when someone is searching using a certain keyword, what are they really looking for? When building a keyword strategy for your website, it’s important understand the “types” of keywords, as they have a direct impact on the organic performance of your site. “Short tail” keywords represent search queries between one and three words long. You can easily find short tail keywords by using Google Suggested Search. Simply 1 word into Google and hit “space” to let Google show you similar searches. Get search volume in Google Search using Keywords Everywhere plugin. 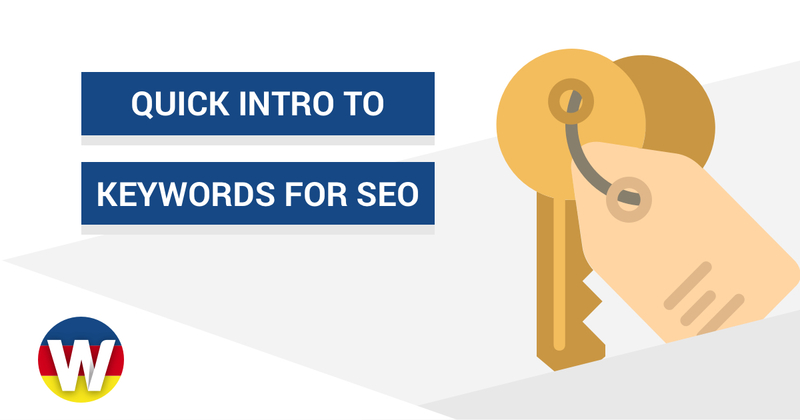 We call them “head” keywords because they’re generally the starting point for a searcher. Short tail keywords have high search volume, making them highly competitive. Generally speaking, websites with massive authority rank for short tail keywords. If you own a newer website with little authority, you can take solace in the fact that short tail keywords have low conversion intent. As demonstrated above, these keywords are generally informational in nature. Success for small websites comes in finding and ranking for “long tail” keywords. Will hot yoga help me lose weight? At first glance, these keywords may seem too specific – they’re not. They satisfy specific searcher intent that you can use to your advantage. Search specificity means that searcher knows what they’re looking for – they know what they want (unlike “head” keywords that are starting points). 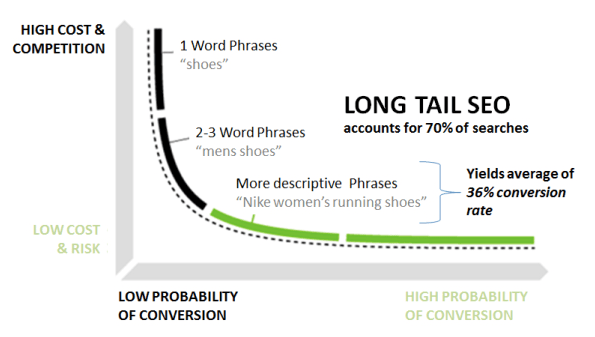 Long Tail vs Short Tail Keywords – Who Wins? Ideally, you’ll want to rank for both – a winning SEO strategy attacks both long and short tail keywords. However, long tail keywords should be your focus. 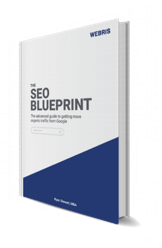 Not only are they easier to rank for, but they provide a platform to scale your traffic, as long tail keywords make up over 70% of total web searches. Too often people base their strategy on short-tail keywords because they tend to get more searches. 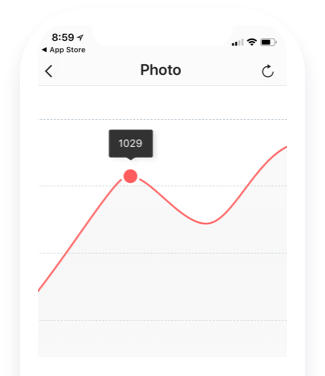 For example, “accounting software” is searched for about 12,100 times a month, whereas “small business accounting software” is only searched for approximately 4,400 times. At first glance, then, it might seem like “accounting software” would be the superior keyword, even if yours is geared solely to small businesses. There are two problems with this assumption. There’s far more competition for “accounting software.” This would include people who want a platform for their personal finances, as well as Fortune 500 CFOs who need software to help manage the books for tens of thousands of employees. The intent isn’t specified. Someone who just wants help managing their personal finances isn’t going to want software meant for a small business. As they’re more specific, long-tail keywords give you a better chance of attracting potential customers, not people who will quickly leave your site. “Intent” refers to what the searcher is really looking for when using keywords. Intent is important because it tells us what that searcher is really looking for and the right type of content to rank for that query. 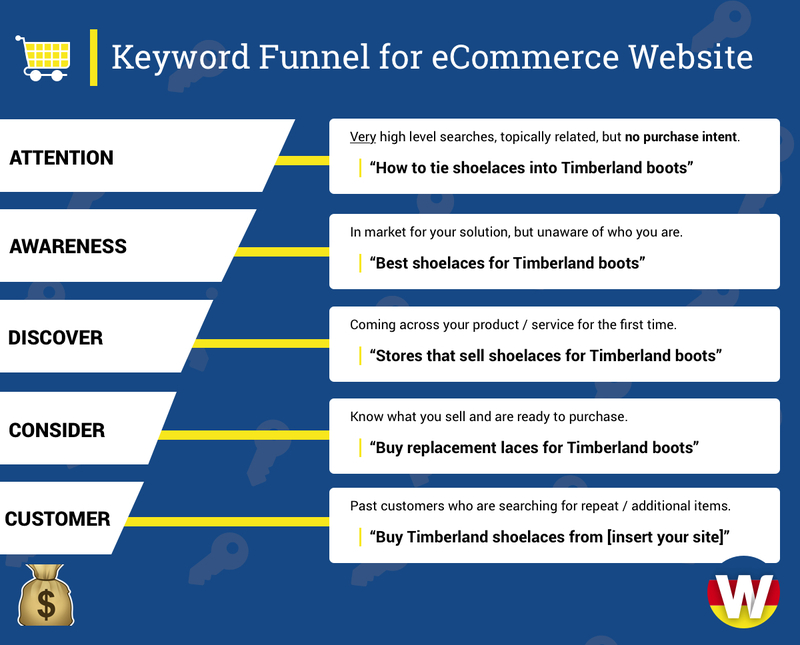 We map intent based on 5 “journey stages” that form a keyword funnel. Attention. Very high level searches, topically related, but not purchase intent related. Awareness. In the market for a solution, but have no idea who you are or what you sell. Discover. Coming across your product or service offerings for the first time. Consider. Already aware of the options and looking to convert. Customer. Keywords that your current customer based is looking for – this is generally support based or usage queries (i.e. how to use “product” or service). The goal is to scrape as much of the SERPs as possible, even for the high level attention based keywords that don’t drive conversions. The more free, organic exposure we can get your brand, the better. Intent is critical for building a proper keyword strategy. Read our complete guide to keyword intent here or “keyword intent” funnels in greater detail in our posts about real estate SEO and attorney SEO. You can find the right keywords for your site by researching. Keyword research is a combination of manual effort and software automation. That gives you some good ideas for long-tail keywords. You can also complete the search and then head to the bottom of the results page to look at other suggestions Google has. After identifying the keywords your site needs to be successful, you’ll need to optimize pages (or build new ones) targeting them. Let’s say you own a yoga studio with multiple locations across Miami. Your website is geared towards driving people into your local studios as well as selling products through your online store (mats, blocks, etc). This needs to be done for every keyword you’re targeting. The easiest way to understand the type of content to create is t simply Google your keywords and analyze what’s ranking on top. When someone searches for “Yoga”, Google is analzying their behavior. After clicking on the result, how long did the searcher stay on the website? Did the searcher return to Google afterwards and click on another result? Did the searcher return to Google afterwards and modify their search? This is an over simplified list, but you get the picture. Google has optimized their ranking algorithm against this data. In other words, they know what type of content should rank based on the intent of a keyword. We break this concept into deeper detail here. 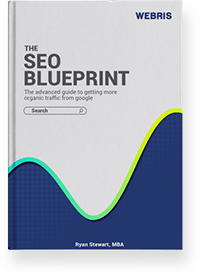 After you’ve optimized your site with keywords, you can track their progression in rankings using software. We have also built our own custom tool in Google Sheets – you can check it out here!